A White Christmas recipe is an Australian holiday classic. 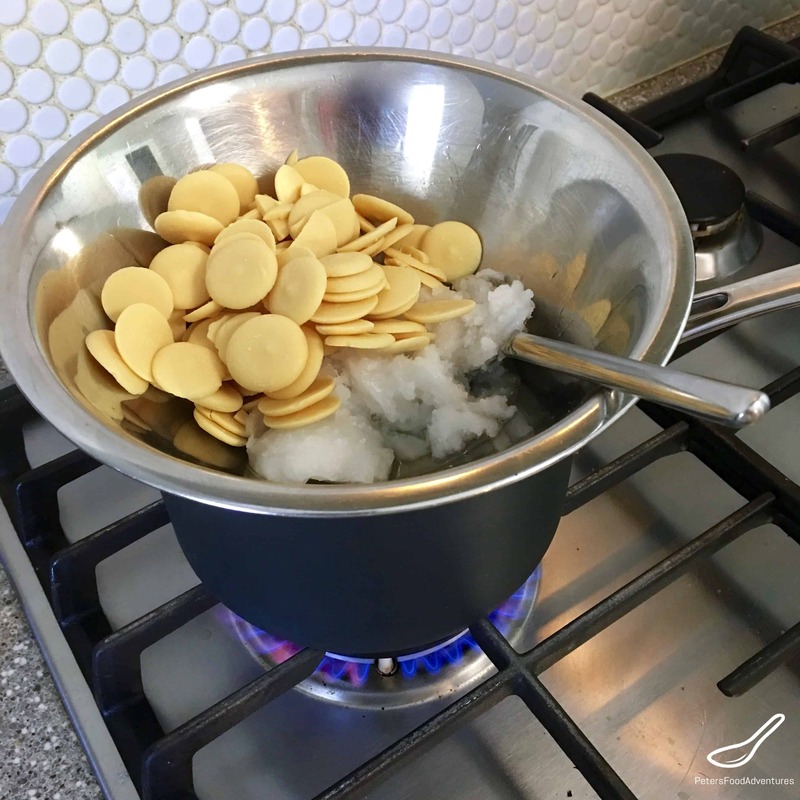 It’s easy to make and a delicious kid’s treat. It keeps really well, making it a tasty dessert to make in advance for when guest pop over. Kellogg’s does a great job in recipe development. Every country has their own Kellogg’s recipe favourites (sometimes you don’t even realize it). 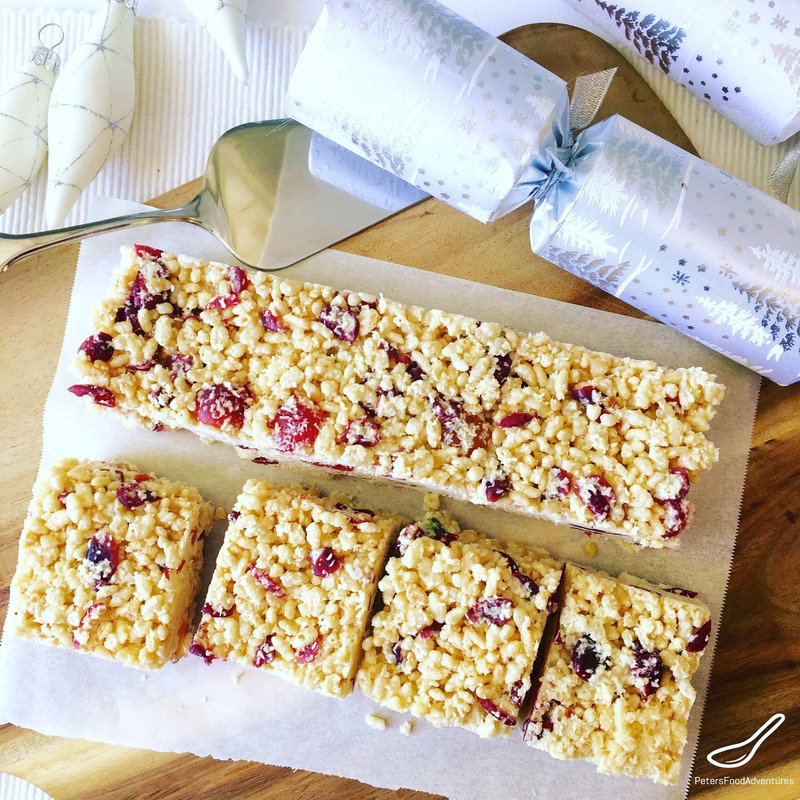 Alongside White Christmas Slice, you might recognize other Kellogg’s favourites like Caramel Rice Krispies Squares, or Honey Joys made from Corn Flakes. A few unique ingredients in a White Christmas recipe. Copha is a vegetable shortening, made from hydrogenated Coconut Oil. I have only seen Copha sold in Australia, maybe New Zealand too. 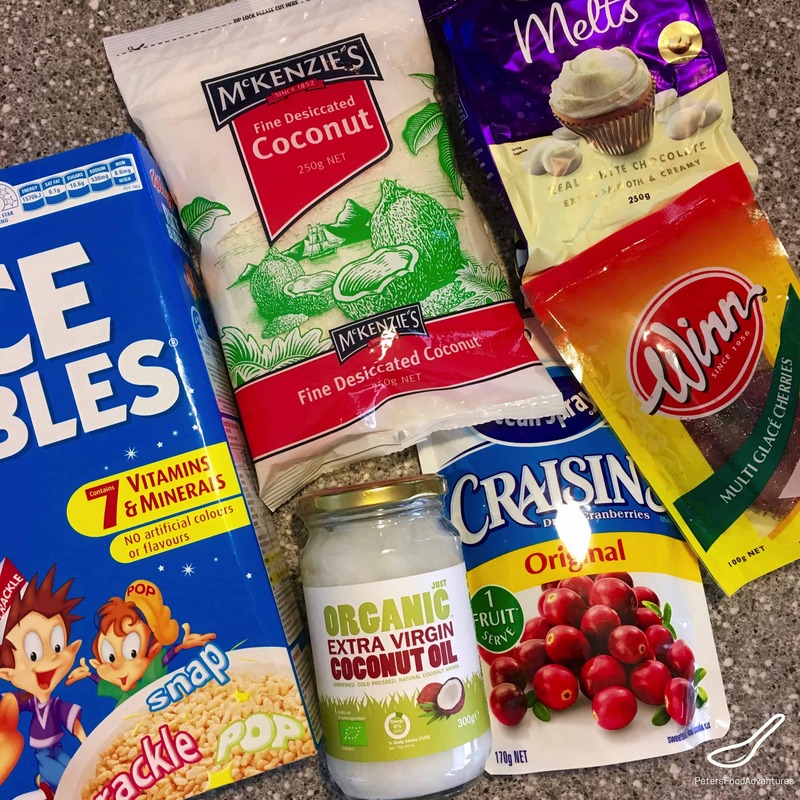 Sometimes I use Organic Extra Virgin Coconut Oil from Aldi instead, as I try to stay away from hydrogenated foods. If you use Coconut Oil, the White Christmas Slice will need to be refrigerated until serving. If the temperature is near 24 °C (76 °F), it tends to fall apart. When we lived in Canada, my wife used Crisco which worked really well. White Christmas recipe is incredibly easy to make, very festive in name and colourful for the Christmas holidays. This is our version of a White Christmas in hot sunny Australia. Bon Appetit! Приятного аппетита! 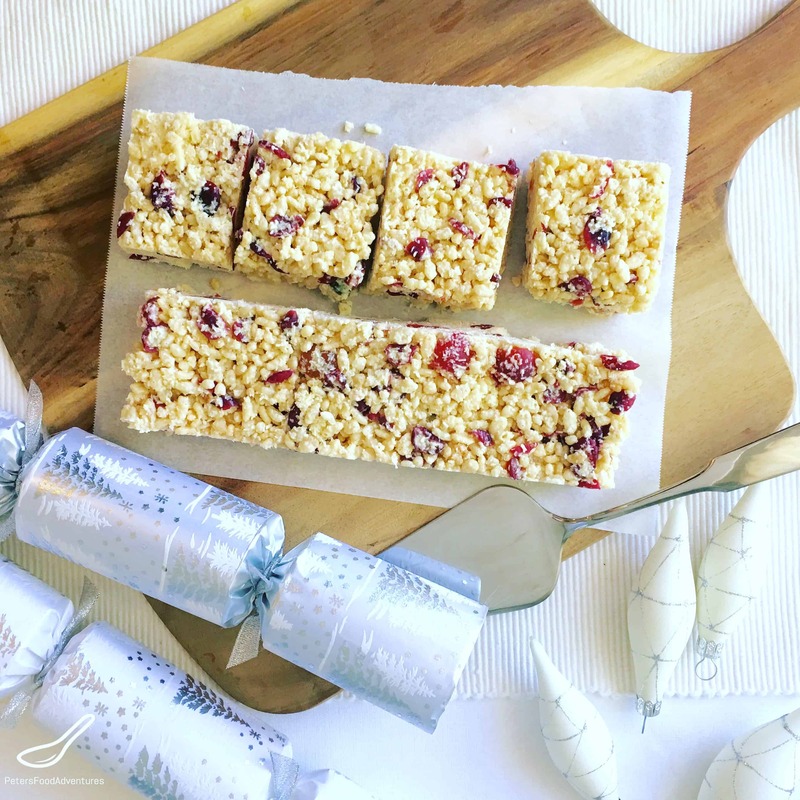 White Christmas recipe is an Australian favorite, easy to make, loved by kids and grown ups. Perfect for the holidays! 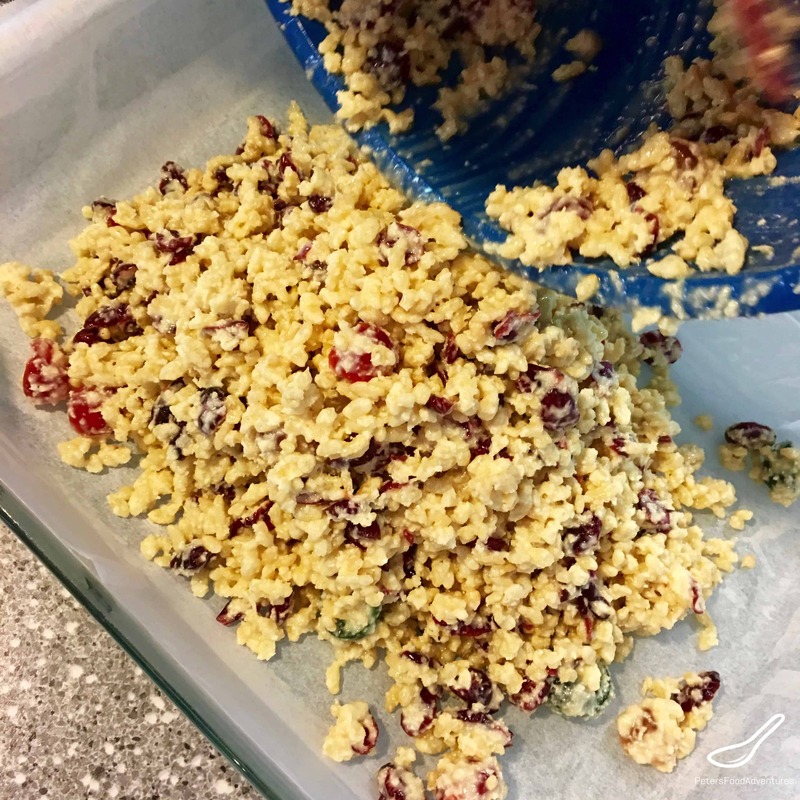 Made with Crisco/Copha or virgin coconut oil, dried cranberries, Rice Krispies and white chocolate. Grease a rectangular slice pan, line with baking paper, allowing paper to overhang the sides. In a large heatproof bowl over a pan of simmering water, melt the Organic Coconut Oil. Add the chopped chocolate and continue to heat until melted and blended together. Remove from heat and set aside. 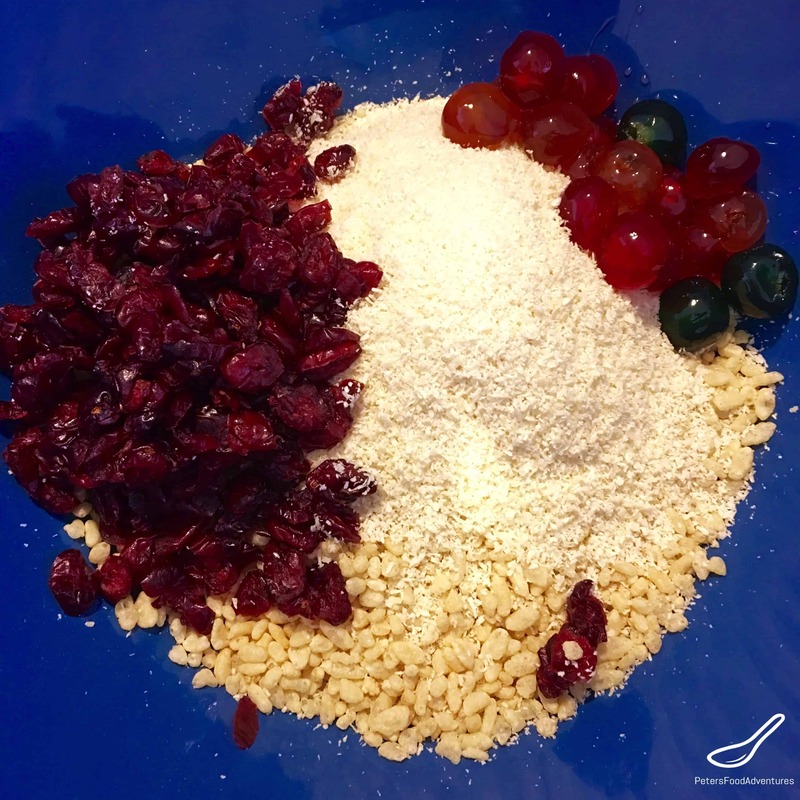 Mix together the Rice Krispies cereal, desiccated coconut, Craisins, and Candied Cherries. Stir in the hot Organic Coconut/Chocolate mixture and mix together until combined. Spoon in the mixture into the rectangular slice pan and press firmly in place. Refrigerate for a few hours until set before serving. Slice and enjoy.